The Apple M9177BA has an anodized aluminum case which makes it look sleek and elegant. With this Apple Cinema display, you can arrange documents side by side and left to right. 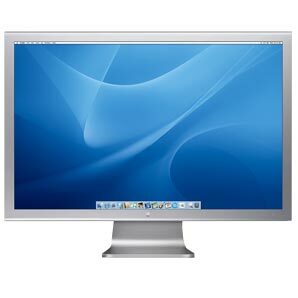 You can connect this 20-inch LCD directly to any Powerbook G4 with a DVI port which will also enable you to use an Apple display with a PC. 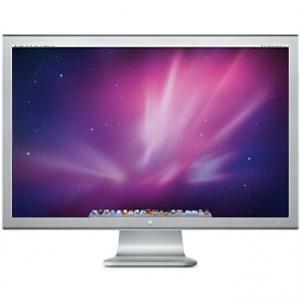 You can use multiple displays seamlessly with this Apple Cinema display. 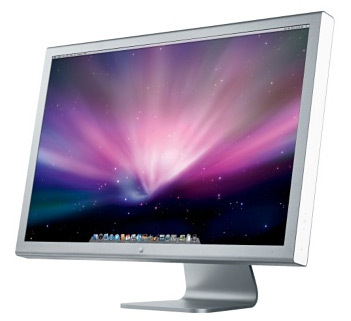 Each display of this 20-inch LCD includes a FireWire 400 hub and a USB 2.0 hub with two ports each, hence this will enable you to connect a printer, scanner, digital camera or camcorder also. With the Apple M9177BA, you can view a web page on the browser and look at its code next to it at the same time. Grade 2 - Good condition, casing may have slight scratches or others marks. Screen will be in excellent condition with no scratches.